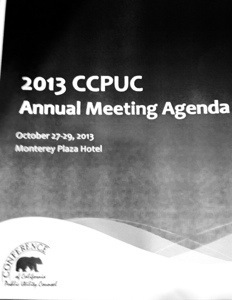 Today, I’ll be speaking at the annual meeting of the Conference of California Public Utility Counsel (CCPUC) on the important topic of energy privacy. This entry was posted in FYI and tagged privacy. Bookmark the permalink.